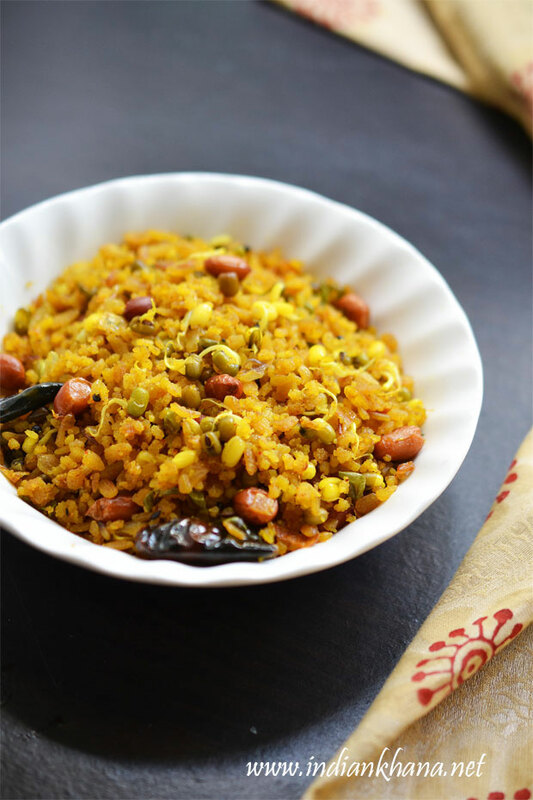 Sprouts Poha, Moong Sprouts Poha, sprouts kanda poha, is delicious, healthy poha recipe with goodness of home made moong dal sprouts is wonderful breakfast recipe which we can make in jiffy. 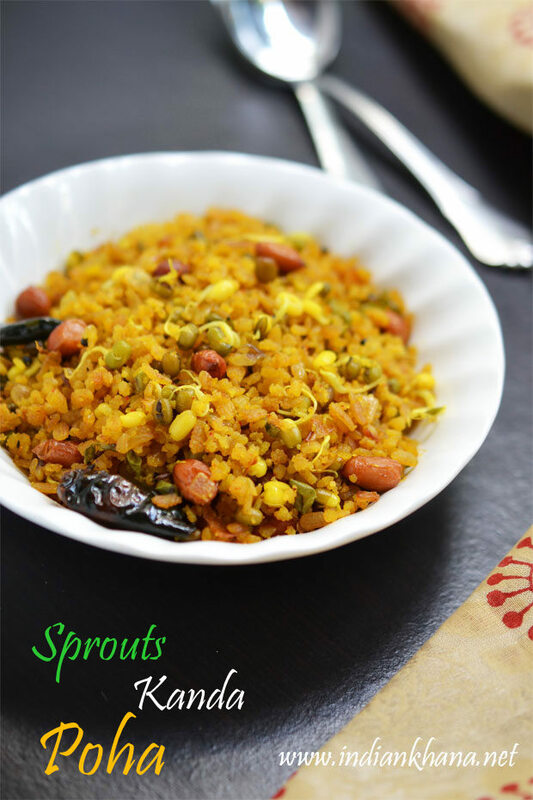 Sprouts adds wonderful crunch to the normal poha and most of the time it's difficult to guess that there is any sprouts also, this is very good recipe for people whom doesn't like to eat sprouts as such or even in salad forms like in my home other than me no one else will eat sprouts. 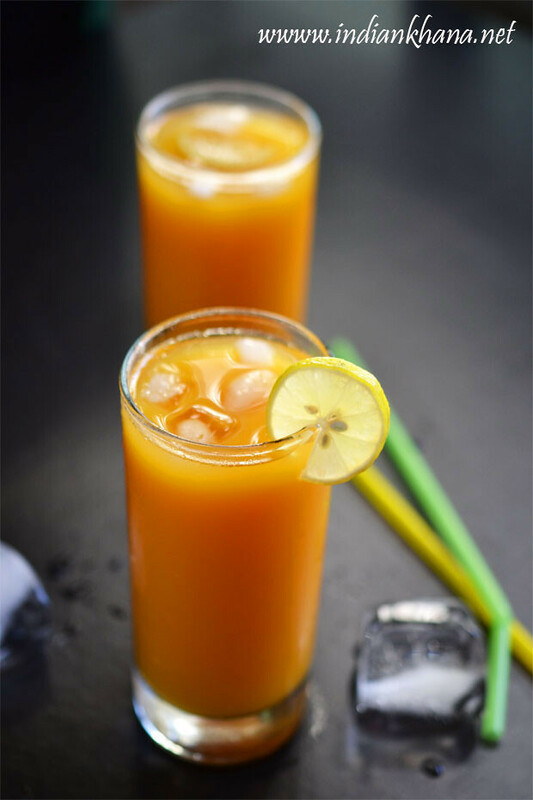 I took a good long break after all the diwali posting, I had no energy to really prepare any posts though I wanted too, finally able to comeup with something easy yet delicious. I make sprouts poha DH and brother eat sprouts and non of them complain, also adding sprouts helps to increase the poha quantity :) I have used red poha for this you can use normal what poha, I always buy red and white both poha though now a days I am more incline towards the red poha than the whtie ones, only the thin chivda variety I am buying white ones as we don't have red variety available for that. 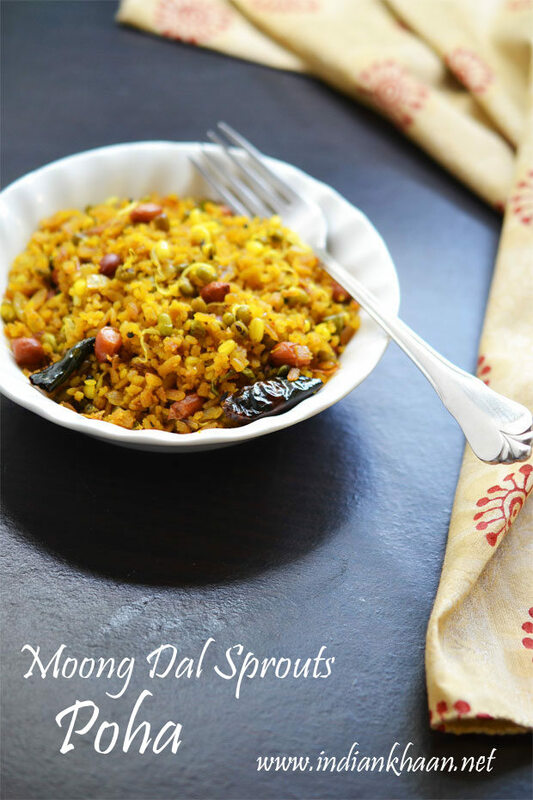 With my fresh batch of moong dal sprouts I made that Sprouts Fried Rice and with remaining I made this sprouts poha and now a days all my sprouts going to poha only, if you don't know how to make sprouts then learn here it's quite easy. Other Poha recipes are like Paneer Poha, Batata Poha. 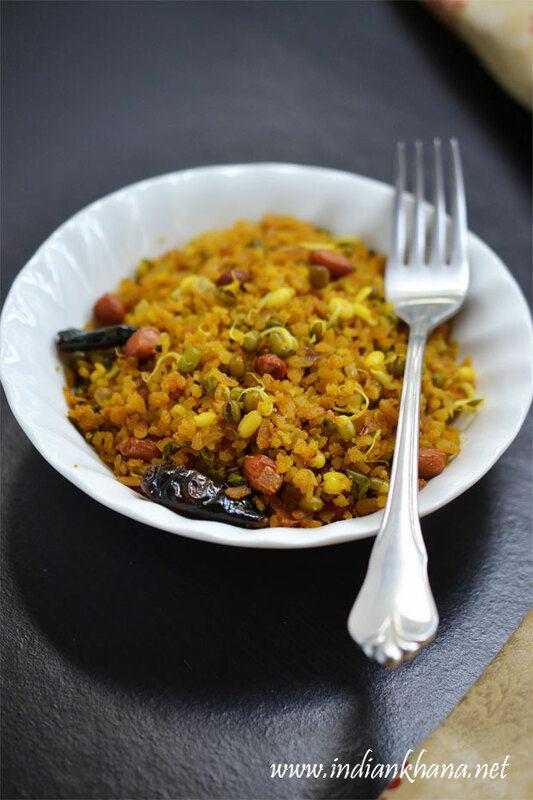 Popular breakfast poha with addition of moong dal sprouts. 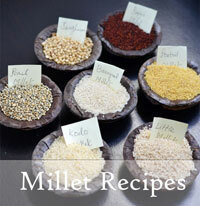 Keep your sprouts ready, check here on how to make sprouts at home. 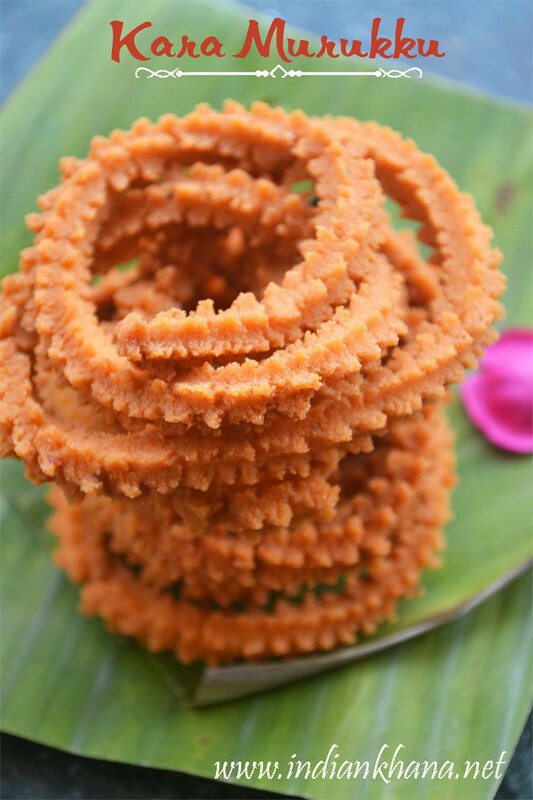 Rinse poha ( I have used red rice poha) in a strainer and keep aside, do not rinse for long just get all the poha to become wet and keep aside until required. Peel and chop onion, green chili (if using), coriander leaves. Heat oil in a kadai (wok) or pan add mustard, cumin seeds and allow to splutter. Add peanuts and saute until peanuts becomes light brown and skin starts to separate. Add dry red chili or green chili, onion, curry leaves (I didn't used) and saute until onion becomes light brown and soft. 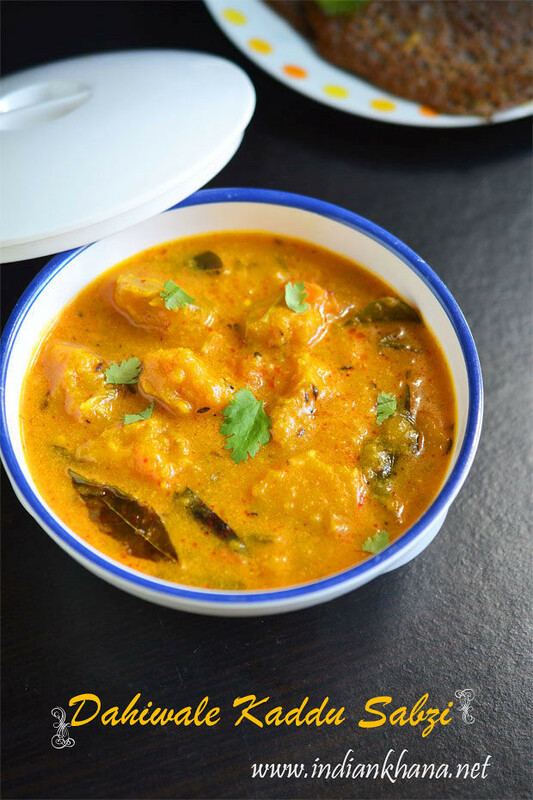 Add salt, turmeric powder, red chili powder mix well and cook for a min in low flame. 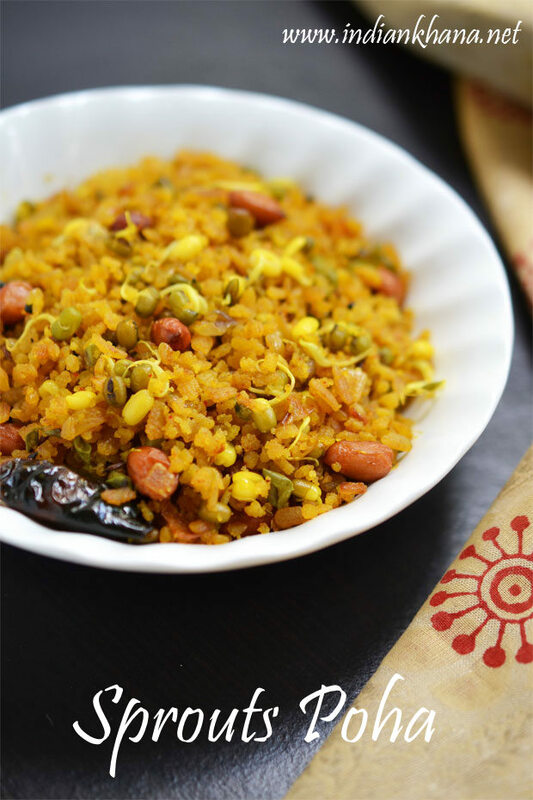 Add poha, sprouts and stir gently to mix everything well, cover and cook for 2-3 mins in medium flame, stir in intervals. 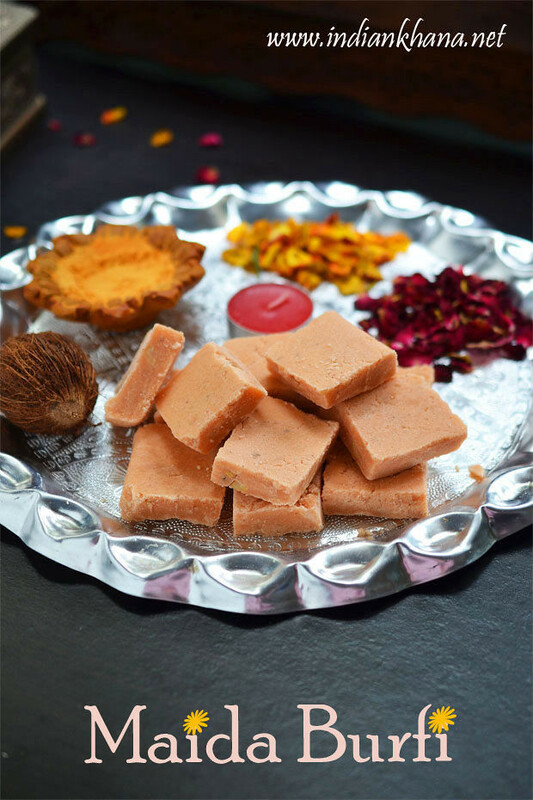 Now add sugar, lemon juice and mix everything well, cook for a min in slow flame, add coriander leaves and off flame. You can skip red chili powder or reduce it to 1/2 tsp. 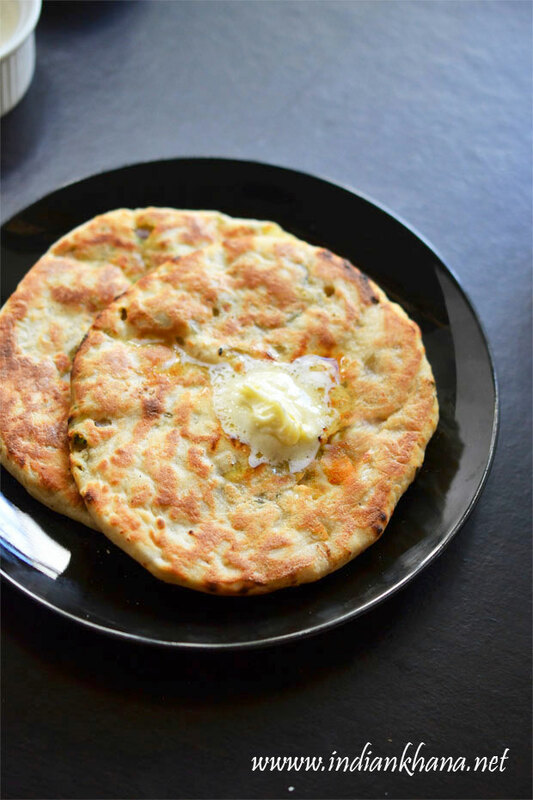 You can use regular white poha. You can use any sprouts of your choice. 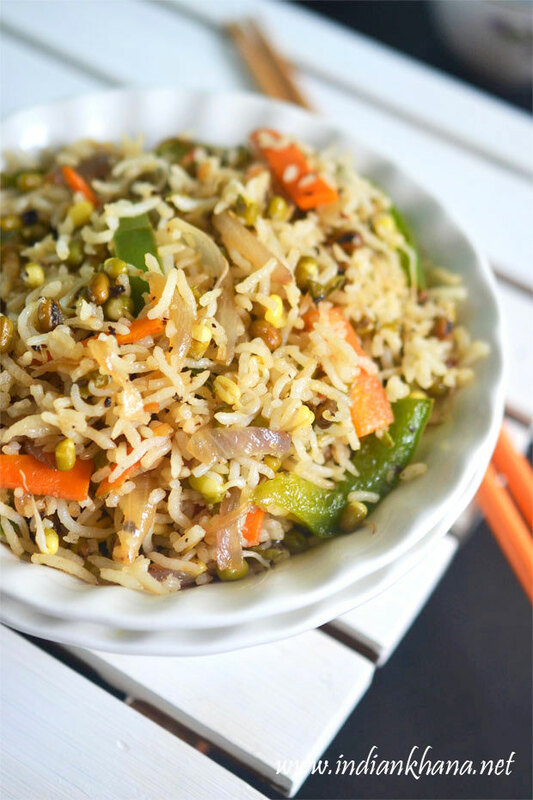 If you don't like raw sprouts then add that after frying onion and saute for 2-3 mins then add poha, I prefer not to cook sprout very much so add with poha. 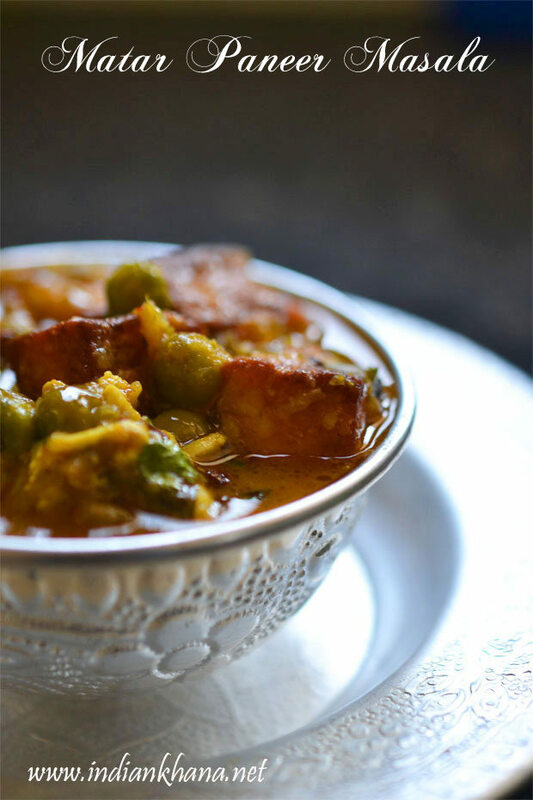 You can also steam sprouts and then add with poha. 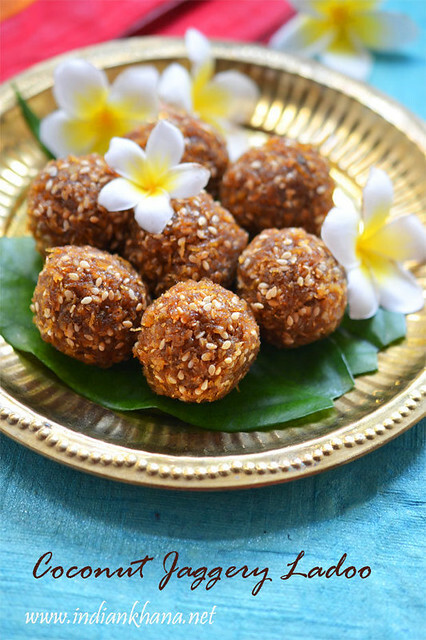 Make moong dal spourts at home, click here for recipe. 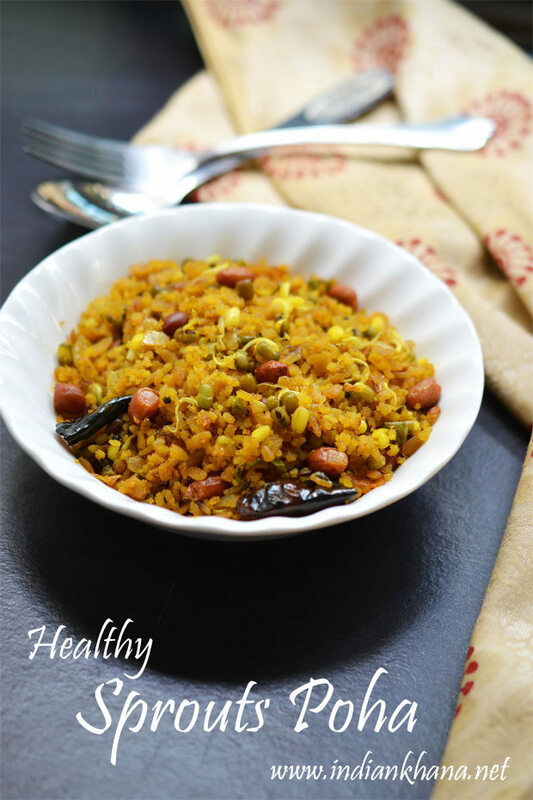 Easy, healthy with crunch sprouts poha.